Few ethical systems have been as influential or as hotly debated in Western philosophy as the one proposed by Immanuel Kant. Kant, living when reason was king in eighteenth-century Enlightenment Europe, proposed what he considered to be the one true ethical system—a system rooted in pure reason, without recourse to grounding morality in God, that sought to explain universal moral truth. This paper will argue that Kant’s ethical system, despite grounding morality purely in reason and in light of its own philosophical failures, contains significant insights that serve to illuminate the philosophical attractiveness of key biblical ethical principles. To accomplish this, I will highlight three important objectives of Kant’s ethical view and compare them to three critical principles of a biblical ethic. Kant emphasizes (1) the existence of objective and universally-binding moral values and duties that require an intrinsic “Good” to ground objective morality; (2) the principle of “moral worth” that incorporates insightful appeal to the role of motive in ethics; and (3) the belief that humans have inherent value. Kant’s justification for these three contentions will be juxtaposed with the rationale for the biblical ethical principles that (1) God Himself is the intrinsic “Good” that grounds objective morality; (2) moral worth is found in honoring God by willing and acting in accordance with God’s will; and (3) God provides a superior basis for ascribing value and respect to human beings. After briefly explaining Kant’s ethic, I will first show how Kant, in spite of his exclusion of God from morality’s foundation, offers several key insights that help to establish the tenability and attractiveness of these biblical principles. Then, I will demonstrate how Kant’s ethic fails to accomplish his own desired objectives and how a biblical ethic succeeds. Note that, for the purposes of this paper, a “biblical ethic” refers to a general Christian ethical approach that draws upon the Bible and minimally includes the three biblical principles identified above. Certainly there are a variety of nuanced positions that a Christian ethicist might hold, but this paper will defend these three particular ethical principles that are widely recognized as biblical. Kant was born in 1724 in Königsberg, Germany, and he lived there until his death in 1804. A crucial influence on Kant that was especially formative to his ethical thought is the Enlightenment thinking that was occurring in Europe. The Enlightenment, at its height in Europe during Kant’s lifetime, led to an explosion of scientific progress that brought about a wave of confidence in human reason, and this spilled over into philosophy. Kant was a staunch defender of the Enlightenment ideal of human autonomy and the lofty capabilities of human reason. He viewed the Enlightenment as “man’s emergence from his self-incurred tutelage.” By “tutelage,” Kant means “man’s inability to make use of his understanding without direction from another.” He encouraged people to stop blindly following the traditions of others and claimed that the “motto of enlightenment” is: “Have courage to use your own reason!” Indeed, as we will see, autonomous human reason (i.e., our ability on our own to use the mind’s conceptual schemes to generate knowledge) is the very foundation of Kant’s ethical theory. For Kant, reason exists in the human mind prior to and independent of experience, and it ultimately produces the basis for objective moral truth. Kant spurned the idea put forth by empiricists like David Hume that all synthetic knowledge is a posteriori. While empiricists were arguing that morality is a human construction based entirely upon human experiences, feelings, and desires, Kant was insisting that “there really exist pure moral laws which entirely a priori (without regard to empirical motives, that is, happiness) determine the use of the freedom of any rational being, both with regard to what has to be done and what has not to be done.” These “pure moral laws” that reason produces are “imperative” and “in every respect necessary” because they are rooted in reason and not contingent upon human experience. But how does pure reason produce “necessary” moral laws that are objective and universally binding? Kant’s answer is that reason alone produces an intrinsic “good” that serves to ground objective morality—the “good will,” which is the rational faculty that recognizes moral duty. This “good will” is not an instrumental good that merely produces other goods; rather, “it is good only because of its willing, i.e., it is good of itself.” Even if circumstances should not allow the good will to be put to use, it would still be intrinsically good and would “sparkle like a jewel in its own right, as something that had its full worth in itself.” The good will is the only good “which could be called good without qualification.” As such, the good will is able to discern what Kant considers to be the “supreme principle of morality” that serves to generate our moral duties—the categorical imperative (CI). Although Kant considers the CI to be one cohesive principle, it comprises three formulations. The first formulation is the Principle of Universal Law. It states: “I should never act in such a way that I could not also will that my maxim should be a universal law.” If reason dictates that we could will that a maxim should be applied universally, then it becomes our moral duty to act on that maxim; conversely, if we could not rationally will to universalize a maxim, then it is our duty not to act on it. It is important to see that Kant’s CI is intended to generate duties that are morally obligatory and not optional or contingent upon the desires of any person. Kant contrasts the idea of a “hypothetical” imperative with his concept of a “categorical” imperative. A hypothetical imperative “says only that an action is good for some purpose,” but the CI “declares the action to be of itself objectively necessary without making any reference to a purpose.” Kant provides a number of examples to illustrate how the Principle of Universal Law reveals to us our moral duties independent of desire. In one example, Kant describes a man who needs to borrow money but does not have the means to repay what he needs to borrow. The man is considering accepting the following maxim: “When I believe myself to be in need of money, I will borrow money and promise to repay it, although I know I shall never do so.” Kant argues that when the man applies the Principle of Universal Law to this maxim, the man will discover that the maxim cannot be universalized and is, therefore, morally wrong. It cannot be universalized, Kant says, because that would make “the promise itself and the end to be accomplished by it impossible; no one would believe what was promised to him but would only laugh at any such assertion as vain pretense.” Thus, regardless of what the man wants to do, reason dictates that his objective moral duty is to reject that maxim and not make the lying promise. If everyone in such a situation made a lying promise then a contradiction would result because the man’s goal of obtaining a loan would not be possible. Kant wants to say that it is this contradiction and not the consequences of undermining loans that makes reason demand the rejection of this maxim. The second formulation of the CI is called the Principle of Ends. It states: “Act so that you treat humanity, whether in your own person or in that of another, always as an end and never as a means only.” Kant upholds the inherent value of humans on the same basis that he argues for objective morality—pure reason. Kant argues that humans, as “rational beings,” are by nature “ends in themselves” and “objects of respect.” This is because every person “necessarily” thinks of himself as a valuable end in himself because he has a “rational nature” that grounds value—nothing can be valued without rational beings to do the valuing. This argument of Kant is sometimes called the “regress” argument because “by regressing on the condition of value, it is possible to derive the intrinsic value of rational nature itself.” The second formulation of the CI ensures that no maxim that devalues a rational person can be acceptably universalized. Another concept that is especially critical to Kantian ethics is “moral worth.” For Kant, “moral worth” means moral praiseworthiness. An agent’s action has moral worth if it is in accordance with duty and the agent is motivated to do the action out of duty. This means that the motivation of an agent is critical, and Kant even asserts that an action done out of duty that is contrary to one’s natural inclination results in the “highest” moral worth of all. Kant regards it as unthinkable that subjective feelings could have any bearing on moral motivation. While Kant thinks God, who lives up to the moral law perfectly, gives us hope that the moral law can be perfectly fulfilled, he at the same time does not allow such hope to be our motivation for being moral. Rational duty must be our motivation in order for our action to have moral worth. Having briefly surveyed the core points of Kant’s ethic, we will now examine how the three key principles of a biblical ethic identified previously are plausible by comparing them to Kant’s ethic. We begin by seeing how Kant’s ethic offers positive insights that support the tenability and attractiveness of these biblical ethical principles. Kant’s ethical system offers a number of insights that help to reveal the soundness of a biblical ethic. Consider the first biblical principle that objective and universal moral values and duties exist, and that God is the intrinsic good that grounds their existence. This traditional view sees God as the basis of objective morality such that the truths of morality are found in God and are fully independent of all human opinions and beliefs. The Bible portrays God as the very foundation and standard for universally-binding morality. Support for this concept can be gleaned from numerous biblical passages. We are commanded to be holy because of God’s holy character (Lev 19:1-2). God is maximally holy (threefold repetition of “holy”) and exposes our sinfulness (Is 6:1-5). Jesus states that “no one is good—except God alone” (Mark 10:18). God alone is the standard. Although Kant rejects the idea that God grounds morality, he does correctly recognize the reality of objective morality and the need for an intrinsic “good” that must provide some ontological basis for it. Kant appears to be correct that objective morality must be grounded in an intrinsic “good” that has “its full worth in itself.” He saw that if there is no objective good that serves as the incorruptible standard of moral perfection, then the subjectivity that unacceptably destroys the prescriptivity of morality cannot be avoided. As C. S. Lewis rightly argues, “The moment you say that one set of moral ideas can be better than another, you are, in fact, measuring them both by a standard.... You are, in fact, comparing them both with some Real Morality.” Plato recognized this as well when he postulated the idea of a “Good” form that serves as the objective basis by which anything can be called good. Plato saw that the “Good” must exist independent of all appearances and human conventions. Recounting the words of Socrates in Plato’s cave allegory, Plato writes of this “Good” as that which is the ultimate “cause of all that is right and beautiful,” even though we often see it in only a distorted way in this world. 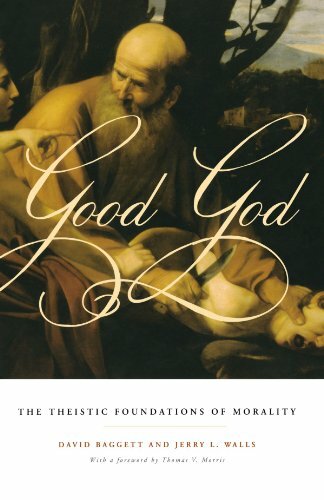 As long as morality is truly an objective reality, as it apparently must be, then both Kantian and biblical ethics are correct in affirming an intrinsically good moral standard as a foundation. Kant also provides perspicacity concerning the second principle of biblical ethics by affirming that moral worth depends on our motives and not just our actions. As discussed previously, Kant only allows for an agent’s action to have moral worth if the action is in accordance with moral duty and the agent is motivated to do the action out of moral duty. Similarly, the Bible indicates that God is concerned not only with our actions but also our motivations and our will. God does not merely base the moral worth of a person’s action on whether the act itself is in accordance with His commands; rather, the motivation of the agent to act in a God-honoring way is also critical. For example, the Apostle Paul writes that God wants us to “will and to act according to his good purpose” (Phil. 2:13). The scribes and Pharisees “do all their deeds to be noticed by men,” and Jesus condemns this motivation (Mt 23:1-12). Even good works, such as prayer, must not be done with a wrong motive (Mt 6:1-6). All food is acceptable to eat, but if one is convinced that eating a certain food is wrong and does it anyway, he is morally guilty (Rom 14:14, 23). So, in Scripture, the action done by a person is not the only thing that is significant in terms of moral praiseworthiness; one’s motivations and reasons for acting matter greatly. Louis Pojman rightly points out that the benefit of an ethical system that accounts for motive is that “two acts may appear identical on the surface, but one may be judged morally blameworthy and the other excusable” depending on the motive of the agents carrying out the acts. Kant captures this truth, and he realizes that one’s commitment to his moral duty will sometimes require him to contradict his natural inclinations. For example, Kant’s contention that “love as an inclination cannot be commanded” is theologically insightful and attractive. While some critics find such dutiful love to be cold and uncaring, Kant is surely correct that love for others must be more than a feeling that we are either inclined or disinclined to have if love is truly a moral duty. In the same way, biblical ethics involves the command to love others—even one’s enemy—regardless of inclination (Matt. 5:44). Finally, Kant’s agreement with the third biblical principle that humans are inherently valuable and deserve respect is also intuitively attractive. Although the next section will explore the difficulties Kant has in justifying the value of humans independently from God, Kantian and biblical ethics share the advantage of being in accord with the nearly universal sense most people have that human life is valuable. As Burton F. Porter notes, it is “difficult, if not impossible,” to deny our moral sense that there is something valuable about human life, and denying that human value is an objective reality “runs counter to our most basic feelings.” While this widely-held moral sense that humans have value does not prove that humans really are valuable, any ethical theory that is in accord with such a prominent aspect of our moral experience is to be preferred. With these insights of Kant in mind, let us now examine how the shortfalls of Kant’s ethic highlight the greater tenability of the three specified biblical principles of ethics. John E. Hare, The Moral Gap: Kantian Ethics, Human Limits, and God's Assistance, (Oxford: Clarendon Press, 1996). Though it is not clear, Hare thinks Kant might have believed traditional Christian doctrines (see pp. 38, 48). God is important to Kantian ethics in that He ensures that virtue and happiness align and that the moral law can be perfectly fulfilled; however, for Kant, we will see that moral law springs from reason. God is not its source. R. Scott Smith, In Search of Moral Knowledge: Overcoming the Fact-Value Dichotomy, (Downers Grove, IL: InterVarsity Press, 2014), 94. Immanuel Kant, “What is Enlightenment?,” in Foundations of the Metaphysics of Morals and What is Enlightenment?, trans. Lewis White Beck (Indianapolis, IN: Bobbs-Merrill, 1959), 85. Immanuel Kant, Critique of Pure Reason, in Immanuel Kant’s Critique of Pure Reason: In Commemoration of the Centenary of its First Publication, 2nd ed., trans. F. Max Müller (London: Macmillan, 1907), 647. Kant, Critique of Pure Reason, 647. Immanuel Kant, Foundations of the Metaphysics of Morals, in Foundations of the Metaphysics of Morals and What is Enlightenment?, trans. Lewis White Beck (Indianapolis, IN: Bobbs-Merrill, 1959), 10. Evan Tiffany, “How Kantian Must Kantian Constructivists Be?,” Inquiry: An Interdisciplinary Journal of Philosophy 49, no. 6 (December 2006): 540. Kant, Foundations, 25. Kant sees the “highest good” as the conjunction of virtue and happiness. Notably, he thinks only God can bring about such a condition; however, God is only good by perfectly living up to the CI as demanded by reason. 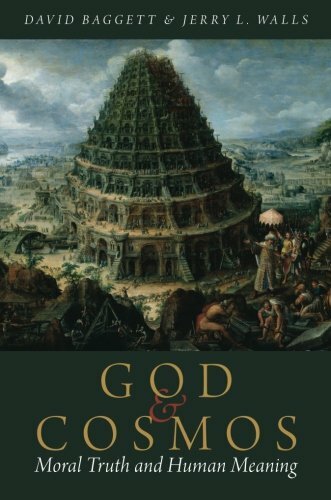 David Baggett and Jerry L. Walls, God and Cosmos: Moral Truth and Human Meaning (Oxford: University Press, 2016), 265-266. C. S. Lewis, Mere Christianity (San Francisco, CA: HarperCollins, 2001), 13. Plato, Plato’s Republic, trans. George Maximilian Anthony Grube and C. D. C. Reeve (Indianapolis, IN: Hackett Publishing Company, 1992), 189. Louis Pojman, Ethics: Discovering Right and Wrong, 6th ed. (Belmont, CA: Wadsworth, 2009), 11. For example, it seems that a man who helps an elderly lady across the street to impress his friends should be judged as less morally praiseworthy than a man who does this same action out of a sense of moral responsibility. Julia Driver, Ethics: The Fundamentals (Oxford: Blackwell, 2007), 86. Burton Frederick Porter, The Good Life: Alternatives in Ethics, 3rd ed. (Lanham, MD: Rowman & Littlefield Publishers, 2001), 85.